It’s a difficult task to stand apart from the crowd in the immensely competitive market of online casino and gambling sites. Users have an insane amount of options to choose from. In order to lure users, a particular casino site must offer some added incentives to outshine the rivals. Europa Casino seems to have given it serious thought. Not only they have a few exclusive casino games, but they also offer the users lucrative incentives to sign up as members. With a wide collection of gaming options on offer, you can be assured to have an exhilarating experience if you decide to give Europa Casino a sincere try. 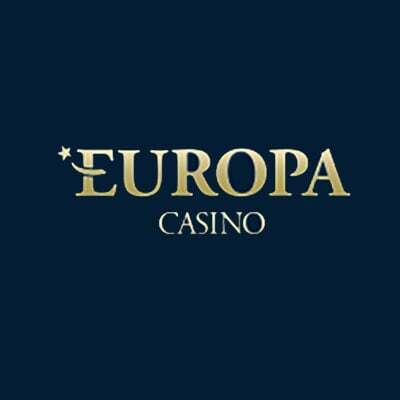 Established in the year 2004, Europa Casino is among the world’s longest-serving casino sites. It is owned and operated by Imperial E-Club Limited Casinos. Licensed under Malta Gaming Authority, it uses the famed Playtech software to bring a wide variety of over 450 gaming options including slot machines, table games, scratch cards, video poker, and live casino games. Alongside browser-based instant-play games, there are a host of exclusive Playtech native games that the users can download to enjoy one of the largest gaming libraries in the business. Europa Casino boasts of an HTML5 supported web portal which is cross-platform compatible. No matter if you are using a Windows computer, an Apple Macbook or Linux flavors, you just need an HTML5 supported web browser program to access the website. If you prefer the portability that mobile devices bring, then you can access Europa Casino from your Android/iOS mobile device without any issues. The website layout is user-friendly. All the navigation options work as expected. Even the most non-tech-savvy users will be able to browse through the games library easily. There is support for a dozen languages besides English. You can translate the content into German, Hungarian, Italian, Polish, Portuguese, Spanish, Swedish, French, Greek and Russian. So if you are not too comfortable in English, it is highly likely that you can switch to a language of your choice with the click of a mouse button. What is a casino without luring bonuses and promotions? Europa Casino understands this fact very well and provides some really cool bonuses and promotions on the table. 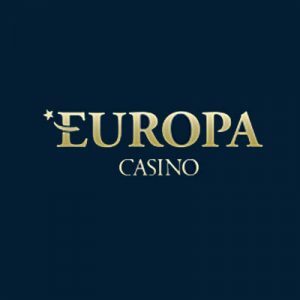 Europa Casino offers a whopping $2400 welcome bonus which consists of a 100% first deposit cash match bonus, a series of 11 monthly reload deposit bonuses and a weekly $25 loyalty bonus for the active members. All these bonuses, when combined together, can max out at $2400 over the course of a year. The first deposit bonus can be triggered with an initial minimum deposit of $25. The maximum value is capped at 100% cash match for up to $100. However, there is a 20X wagering requirement that the members must comply with to claim this reward. In addition, the members can avail a $25 weekly loyalty bonus for every deposit of $100 or more. Just is the case with the welcome bonus, the loyalty bonus also carries a 20X wagering requirement. There is also the prospect of $500 High Roller bonus to attract high-stake gamblers who can deposit $1000 or more. The 20x wagering requirement is valid for availing this bonus as well, which means that a user will be able to claim the additional $500 after a total expenditure of $30,000 in wagers. Yes, you are spot on – the name ‘High Roller bonus’ does make a lot of sense! However, there are certain games which do not meet the wagering requirements. These include Bacarrat, Blackjack Switch, Blackjack Surrender, Craps, Darts, Heads or Tails, Roulette (including Club Roulette, 3D roulette, French and European Roulette, Premium Roulette and others), Sic Bo, Spin a Win, Video Poker Games, Wild Viking and others. Europa Casino also runs an affiliate program where each member can earn $50 referral bonus for every new customer introduced to the site. The new customer must make an initial deposit of $25 for the bonus to get triggered. The maximum amount of referral income per month is capped at $250 per user. To have a collection of 450+ games in itself is a huge achievement. While the list is dominated by slot machines, there is a decent variety of table games, live casino games and instant-win scratch cards alongside progressive jackpot games. There are slot games based on popular films, TV shows, and famous characters, such as the Iron Man 2, Incredible Hulk, Gladiator, and Fantastic Four. The classic slots featuring StarBurst, Safari Heat, and Halloween Fortune are equally popular due to the affordability. All in all, there are nearly 200 slot games to choose from, so you are not going to get bored anytime soon. Additionally, you also have around 25 instant-win scratch card games and 14 video poker options to give you company. Popular table games include variants of poker and roulette. There are thirteen different single and multi-player roulette variations available, while the poker enthusiasts can indulge in 4 casino-styled poker games. 3D Roulette Premium and Multi Wheel Roulette are especially impressive for their addictive nature. When it comes to poker, you will find classic favorites like Pai Gow Poker and Casino Hold’em quite interesting. The biggest draw at Europa Casino is the Live Dealer section. You can take a virtual seat at the live dealer table to place bets on as many as 10 live casino games. The choices include Live Baccarat, Live Roulette, Live Blackjack, Casino Hold’em Live and Sic Bo Live to name a few. And don’t forget to check out the progressive jackpot section. While other casino sites offer progressive prizes mainly on slot games, Europa Casino goes far beyond to include table and video poker games in their huge jackpot library. Try out the jackpot games at Europa if you want to give yourself a fair chance at winning 5-digit prizes. In a nutshell, you will be no short of entertainment quotient to keep you engaged at Europa Casino for long hours. There is a long list of deposit methods available at Europa Casino. Alongside universally accepted payment gateways like credit/debit cards, bank transfers, and PayPal, the members can also fund their Europa accounts via Neteller, Paysafe Card, Ukash, Entropay, WebMoney, PayU and a host of other options. Do check out the official website to find a list of over 45 supported payment methods. When it comes to funds withdrawal, you can choose between wire transfer, credit/debit cards, cheques and eWallets like MyCitadel, InstaDebit, Neteller etc. The fastest mode of withdrawal is eWallet with a clearing time of 24-48 hours. Credit/debit cards and bank wire transfers can take around 3-10 days, while you may have to wait for up to a month to get hold of physical cheques at your doorstep. The withdrawal limit per month is $9900 or equivalent amount in other currency. There is no weekly cap as long as you are within the stipulated monthly limit. However, you cannot withdraw the bonus amounts until and unless they meet the wagering requirements. Besides US dollars, Europa Casino also supports other forms of currency such as Euros, British pounds sterling, Norwegian kronor, Russian rubles, Swedish kronor, South African Rand, Australian dollars and Canadian dollars. Most of the payment processors are equipped with an auto currency conversion feature. Like most other online casino sites, Europa Casino too has SSL encryption in place to protect data transmission. The members’ personal and financial information is handled in a safe and responsible manner. No third-party is involved in the entire process. Licensed under Malta Gaming Authority, Europa Casino strictly adheres to all the security requirements imposed by the MGA. All the games offered by Europa Casino has been reviewed and certified fair by independent gaming authorities like eCogra. Europa Casino respects responsible gambling requirements and doesn’t allow minors to participate in the program. 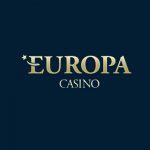 A user must have attained at least 18 years of age to be granted membership at the Europa Casino. When it comes to customer support, Europa Casino is among the best in business. Not only they have dedicated toll-free phone lines, but they also offer members the option to get in touch with customer support representatives through live chat and email option. The members can also raise support tickets through the online portal and expect to get a meaningful response within the stipulated SLA. Keeping a highly satisfied base of users has always been a priority at Europa Casino, and the diligent customer support team leaves no stones unturned to drive unmatched customer satisfaction. Europa Casino has been around for more than a couple of decades. It has maintained its exceptional growth withstanding the tough competition. So it doesn’t come as a surprise that they have the right kind of insight to know what works and what doesn’t. Keeping aside all the bells and whistles, they have concentrated mainly on providing the members a user-friendly interface with a plethora of gaming options. Multi-language and multi-currency support go a long way to accommodate users from varied geographic locations. The welcome package is targeted at attracting long-term players with a serious desire to spend time and money. In a nutshell, Europa Casino has a lot to offer to satisfy the punter in you. Rest assured, you won’t be disappointed.